"Justine came out to see an advanced event horse of mine who had always had problems loading, but recently became very anxious and I had to stop travelling her. I've worked with horses professionally for years but never had anything like this mare. 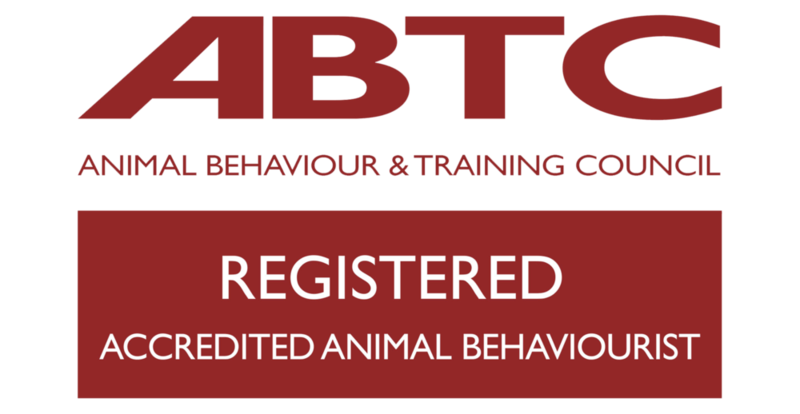 I have not called a behaviourist before and wasn't sure what to expect. I throughly enjoyed the consultation and learned more than I could have imagined. I really like Justine's approach. She is straightforward and practical and it was refreshing to meet someone who is so honest about what can be achieved. I've taken some time out, gone through the retraining programme and now have a much calmer and confident horse. I'm very pleased with the result and have seen improvements in her overall behaviour which i wasn't expecting. I would highly recommend Justine's services to anyone and wouldn't hesitate to call her out again if I needed help." "I had a lot of trouble with my Cob X jumping out of his stable whenever put in and stressing a lot when near to the point he'd be covered in sweat and would end up taking himself to the field. It got to the point he cut his leg quite badly getting out and I then came to the conclusion it wasn't worth the risk. So he stayed out for a month or two and I had pretty much lost hope, I tried everything I thought possible with input from a lot of other people including stable toys, grills and associating nice things like grooming and feeding in the stable. He settled for an hour or so then was stressed again. I rung the vets and they suggested Justine; she has completely turned my horses view around. With a few simple changes and additions to his stable, he now looks forward to coming in. It worked like magic and for him, it didn't take long at all. Now he's happy when he's in and he is on no supplements to calm him. I cannot recommend Justine enough, she works in an extremely effective way which is very considerate of the horses well being, my horse is now happier and I feel like I understand him more." "My daughter's pony became really aggressive and we had been warned we may have to leave our yard. All of us had really lost our confidence with him and were thinking about selling him, which we didn't want to do. I booked Justine to come for a consultation and we haven't looked back, the changes in him were remarkable even after just a couple of days. Justine explained why he was behaving like this, which made so much sense. We discussed how we could all handle him safely and we were given a plan to follow. Justine was very positive and it was comforting to have her at the end of the phone if we got stuck. We are now three weeks into our plan and have seen huge improvements already! I would highly recommend Justine to anyone looking for help with their horse." "Justine came to help me with my horse, a young TB I had taken on as a project, with major behavioural problems. We discussed his problems and Justine suggested some small changes in how he was managed. We had a few training sessions and did our homework and I now have a much happier horse who is clearly more relaxed every day. I am so relieved to have found Justine and I would not hesitate in recommending her to anyone having problems with their horse." "I called Justine out when my horse suddenly stopped loading into the wagon. She gave me a plan to follow and helped me fix the problem myself. I would recommend anyone struggling with their horse to give her a call." "I had struggled with my 10yr old Welsh Cob X gelding for nearly 3 years when I asked Justine to come out. It had started when he spooked more when I rode him out hacking, then barging me on the ground and then he started bolting. I had tried different instructors, but his bolting got worse and he was really frightening me. I completely lost my confidence. Justine saw there may be a problem with his eyesight. She contacted my vet who checked him next day and we found out he'd almost lost his sight in one eye. He was really scared of what he couldn't see. Justine has been so supportive, we're both getting our confidence back and doing well. I wouldn't hesitate to recommend Justine's services." "Justine came to help me with a horse that suffered separation anxiety whilst in the stable, field or hacking out alone. Her approach was kind and informative, giving us every oppurtunity to succeed in our goal to become more confident, settled and ultimately happy. There was never a moment when I felt like I couldn't ask a question and her support and dedication was unfaltering. She has a flexible approach and works with you ensuring you and your horse are happy throughout the training." "Justine came to see my horse who was spooky on hacks and I was really losing my confidence. I had tried Natural Horsemanship which made her worse and didn't know what to do next. A friend recommended Justine, she knew straight away what the problem was and we have not looked back since. I have got my confidence back and Cara is great out on hacks now. We had our first hack out alone last week. Thank you!" "I have a 10yr old gelding and have had him for 6 years with very few problems. When I moved yards he became really difficult to manage. He was biting me in the stable and dragging me to the field. Justine has really helped us both, so many people have commented at the difference in him. I've changed how I feed him now and his routine and not only is his aggression gone but I've really seen improvements in his mood and condition I never expected. Justine helped me with handling and leading and I've learned so much about training. I can't recommend her enough." "I kept my horse on livery with Justine, and her attitude and approach to horse care was brilliant, sensible and all done for the best of the horse's welfare. I would not hesitate to contact her first if I was having any behavioural issues with my horse."